After more than 11 years, our original RV mattress was pretty worn out, but high-quality RV-size mattresses can be hard to come by. 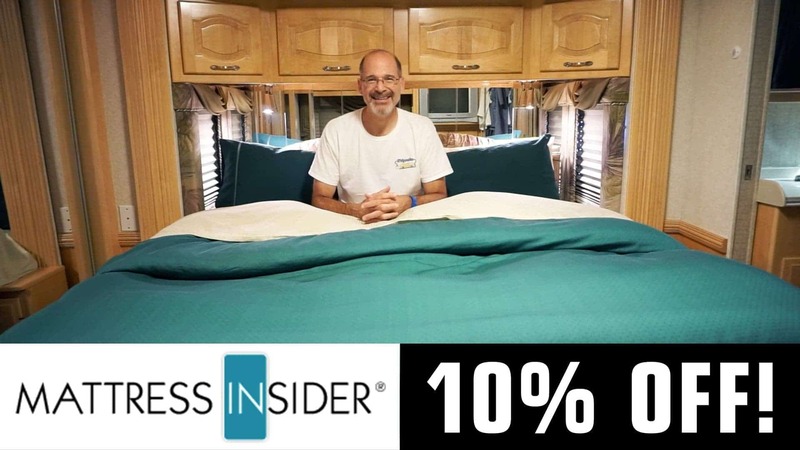 We ordered a replacement from Mattress Insider because they offer many different styles, provide customized recommendations based on our input, and could custom build a mattress to exactly fit our current space. We hadn’t realized just how ready our old mattress was to retire, until we got the new one, which is awesome. The difference is like… night and day! Save 10% on your entire order with coupon code “RVGEEKS” when checking out online OR ordering on the phone!